What is Matcha? How good is it really and why? Matcha Tea: I’ll Matcha and I’ll raise you a cup! Why this brew is the best tea going and why it is here to stay. It seems it isn’t just a fad or a phase but is settling in for the long haul to become a staple in daily life. If you haven’t tried it already, you probably will after reading this. Unlike other teas Matcha is harvested having been covered by shade structures built around the plant for at least two weeks before it is picked. The leaves are practically in darkness, which is supposed to enhance their flavour, and make them softer and brighter. Directly after the harvest the leaves are steamed, dried and placed in ovens for around 20 minutes. The stems, and any other debris, are then removed and they are stoneground into a fine powder. How is Matcha better than other tea? Let’s say one cup of Matcha tea is the equivalent of 10 cups of regular green tea when it comes to nutritional value. When you steep any tea (loose leaf or bag) in boiling water, the majority of the goodness will remain trapped in the leaves, which means you only retrieve a fraction of the benefits. In order to reap all the benefits you would have to ingest the entire leaf; not so enjoyable. Because Matcha is made of tea leaves stoneground into powder form it provides us with a plethora of vital vitamins, minerals, antioxidants and amino acids. Packed with antioxidants, including unique catechins; more than any other superfood. What is in Matcha that makes it so good for us? Antioxidants are the little soldiers that prevent and fight against disease and infection. The more we arm ourselves with, the better prepared our bodies are. Catechins are a unique type of antioxidant which are not found in other foods, these little helpers have powerful cancer fighting properties. Catechins also have the power to restore our body’s balance by counteracting the effect of free radicals from UV exposure, radiation, chemicals, and pollution which can damage cells and DNA.They also seem to be especially helpful in lowering blood pressure, which can then reduce your chances of heart disease, heart attack, and stroke, among other issues. Matcha is practically calorie free, it boosts metabolism AND burns fat so is a great addition to any weight loss diet. Studies show that it increases our body’s rate of burning calories from around 10% to around 40% of daily energy expenditure; therefore it can also enhance physical endurance. Matcha was originally used over 1000 years ago in Japanese meditation practices to induce alertness, yet simultaneously maintain calm during hours of stillness. The tea is rich (5 times more than other teas) in Amino acid, L-theanine; the ingredient that helps with our concentration and focus by promoting a relaxed alertness through alpha waves. It can also assist memory and learning ability. 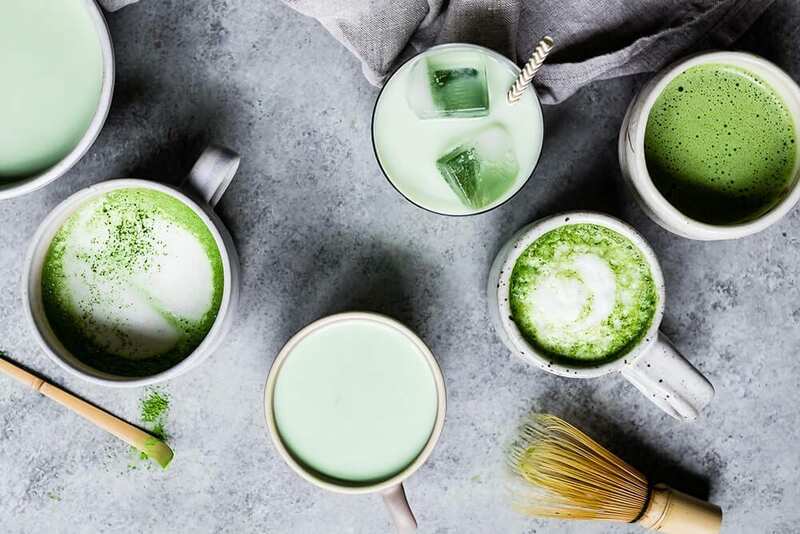 The colour of Matcha is a vibrant green due to it containing substantial amounts of the powerful detoxifying agent Chlorophyll, which removes unwanted chemicals and metals from the body. Polyphenols and other antioxidants in Matcha (as well as loose-leaf green tea) may help protect your cells against cancer. Further research is required in order for doctors to know if these compounds can help prevent or delay the disease and to what extent. They also ease the symptoms of arthritis due to their anti-inflammatory properties and help to slow the breakdown of cartilage caused by arthritis. Tannins are naturally occurring plant micronutrients found in many teas and wines. Matcha contains around 99 mg in comparison to regular green tea’s 7mg. Matcha is a fine, velvety powder that feels smooth to the touch, like talcum powder. 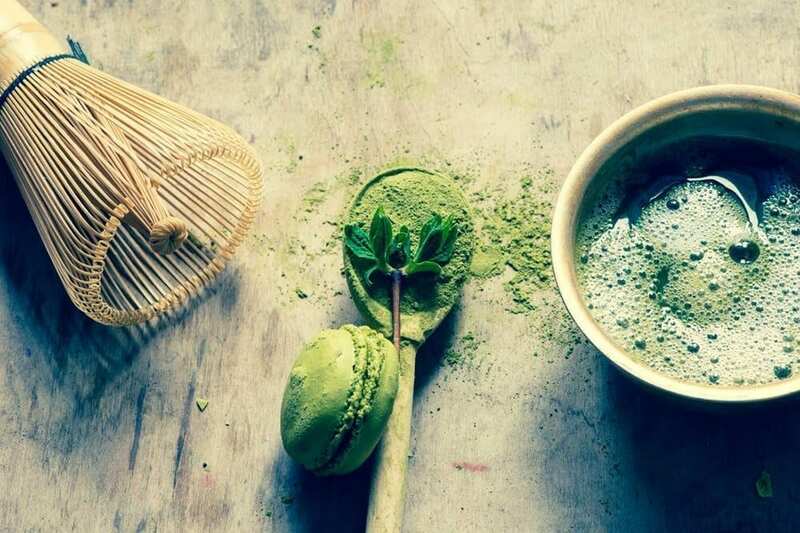 Where Green tea can have a bitter after taste, most people say Matcha does not but rather has a sweeter and ‘creamier’ taste. Often the word ‘grass’ pops up when discussing flavour and aroma. This all depends on how you take it so the best test is to try it yourself! Add 1-2 teaspoons of Matcha powder to just below boiling water, stir together until completely mixed and becomes frothy. Add water to taste. This you will have to adapt according to taste and flavour combinations, but simply add 1-2 teaspoons of Matcha powder to your daily smoothie. Whether it be muesli, granola, cereal or just yoghurt you can add a teaspoon or two of Matcha powder to add that extra health kick to start your day. Top it iff with some honey, nuts, and seeds. 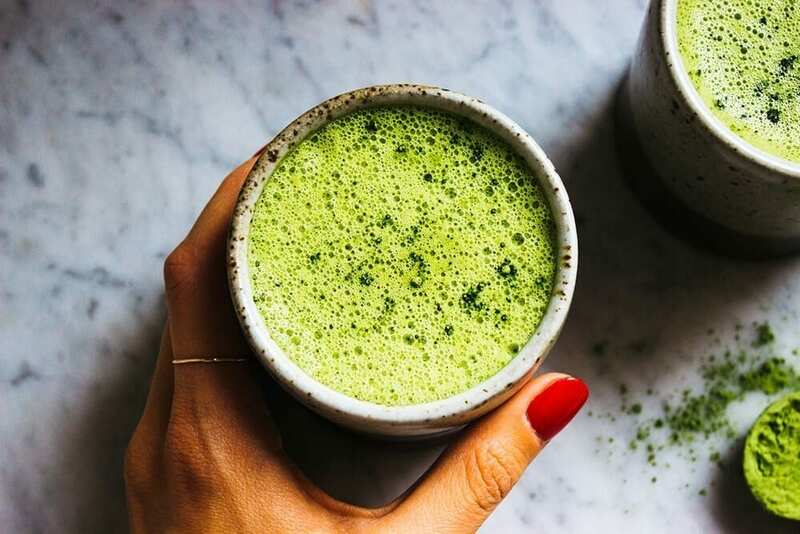 As with anything containing caffeine we should always be aware of our consumption levels, being sensitive to it or overloading it can cause minor side effects – although there is less in Matcha than regular coffee or black tea. Also be careful if you suffer from ulcers or acid reflux as on an empty stomach Matcha may irritate. Always take with or after meals, and maybe try adding milk. With so many positive attributes I would say that a cup of Matcha is something that should definitely be in our daily schedule.